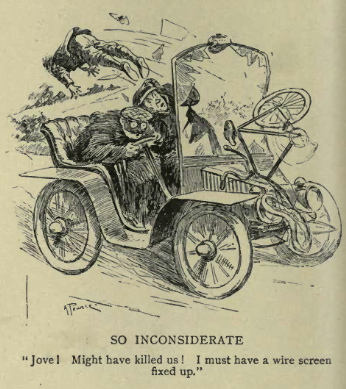 It turns out that motorists owe a great debt to those "inconsiderate" bicyclists. Quickrelease.tv has posted a very interesting piece about the vital role cyclists played in the creation of modern traffic infrastructure. It's time for the obligatory end-of-the-year look back. What were the top five happenings of the year in Chicago bicycling? 5. Federal case made of road rage incident: A lawsuit was filed in federal court alleging that Chicago police officers who responded to the scene of a SUV vs. bicycle road rage incident tried to protect the driver "because of his political connections and family influence." The complaint also alleged that the driver, Matthew Pritzker, heir to the Hyatt Hotels fortune, was guilty of assault and battery, negligence and willful and wanton misconduct arising from the 2009 incident which took place near North Avenue and Segwick. According to the complaint, Mr. Pritzker, "driving an SUV with a vanity plate of 'P'," tried to run the cyclist off the road before fleeing the scene. Full story. 4. Hotline created for bike crash victims: Longtime leaders in Chicagoland bicycle advocacy, The Active Transportation Alliance created another helpful resource for the benefit of Chicago bicyclists, a hotline providing post-crash advice and guidance. Bicyclists are among the most vulnerable users of our city's roads. It's nice to know that someone with the resources of Active Trans has our back after a crash. Learn more. 3. Bike safety bill becomes law: Declaring, "The road belongs to everyone," Illinois Governor Pat Quinn signed tough new bicycling safety legislation into law on July 5th. The law, which takes effect next week, strengthens Illinois' anti-buzzing law which prohibits motor vehicles from passing less than three feet from a bicyclist on a roadway. It also provides for the creation of "Share The Road" license plates to be purchased through the Illinois Secretary of State's office. Full story. In 1991, Daley created the Mayor’s Bicycle Advisory Council in an effort to promote cycling and the extension of biking programs and resources. Within one year, the Council prepared the Bike 2000 Plan, which presented 31 recommendations to encourage bicycling in Chicago. Based on these recommendations, the City of Chicago established a network of 100 miles of on-street bike lanes and 50 miles of bike trails, install 10,000 bike racks throughout the city, produce educational biking publications; and create outreach programs. In addition, the City has worked with the Chicago Transit Authority to permit bikes on CTA trains and equip more than 2,000 CTA buses with bike racks. By 2002, the mayor’s administration had begun collaboration with the Department of Transportation and the Chicagoland Bicycle Federation, now the Active Transportation Alliance to present the Bike 2015 Plan. The 2015 Plan has two main objectives. The first is to increase bicycle use so that five percent of all trips of less than five miles are by bicycle. The second is to reduce the number of bicycle injuries by 50 percent. Mayor Richard M. Daley has also been instrumental in other cycling programs including the Bike Chicago Program, the Bike to Work Rally, Mayor Daley’s Bicycling Ambassadors, and the annual Bike the Drive event. We're not perfect. We're not Portland, Oregon, a city with a lauded biking infrastructure but with about a 5th of the population of Chicago. But let's hope that who ever our next mayor is, that we keep peddling forward. 1. The Brookfield sentencing debacle: Nothing inflamed the passions of Chicagoland cyclists in 2010 quite like the weak sentences handed down to two young motorists who, in 2009, intentionally hunted down and struck a bicyclist in Brookfield. One of the men received a sentence of ten days in jail and the other received zero jail time for his role. Both men had been drinking before deciding to drive around looking for bicyclists to hit. Both were sentenced by Cook County Judge Carol Kipperman. What made this the biggest story of the year was the incredible response that the sentences generated. Shortly after they were handed down, the Active Transportation Alliance expressed outrage and initiated a letter writing campaign directed at the Cook County State's Attorney's office demanding that they justify the negotiated sentences. The prosecutor's office was so inundated emails that it felt compelled to respond, blaming the judge for ignoring recommendations for stiffer sentences. In the end, though, there was a silver lining: A new relationship grew between the State's Attorney's Office and the Active Transportation Alliance due to the letter writing campaign and the media attention it brought. 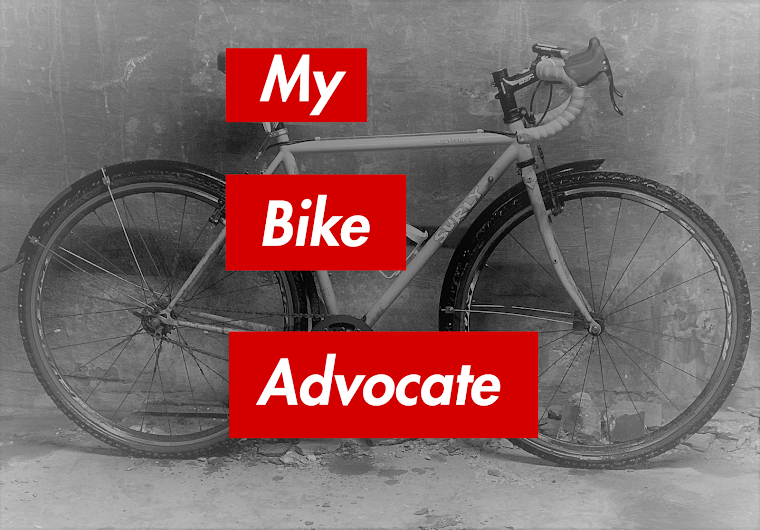 We may now hope that the prosecutor's office will let Active Trans know in advance of sentencing in future cases, which in turn can communicate with the broader cycling community. Even a modest presence of concerned bicyclists at a sentencing hearing can make a difference when a judge is considering punishment for an attack on a cyclist. Thanks to the folks at Go Means Go! for making me aware of this video. The digital cameras are tied into the traffic signal system and sensors beneath the pavement, just before the white stop bar. The cameras are triggered by a vehicle passing over the sensors only after the light turns red. The cameras take still and video pictures of the rear of a vehicle, including the license plate. . . The images receive an initial review by the camera venter to make sure the image quality is sufficient. The images are then forwarded to the city's Department of Revenue for review and processing. Citations are sent to the registered owner of the vehicle shown in the pictures. Any motorist who receives a red-light camera ticket can review a video of their red-light violation on the city's web site: www.cityofchicago.org/Revenue. Of course there are a lot of "ifs" involved in determining whether photos and video was taken of the bike vs. car incident under investigation. Images may exist if (1) the crash took place at a Chicago intersection (2) with a red-light camera in place (3) where the crash was caused by a motorist's red light violation. CDOT has created a website containing a map with an overlay depicting intersections with the cameras. If the right circumstances exist, the bicyclist's attorney should subpoena a copy of the video and still photographs. Pre-suit the attorney should consider bringing a petition seeking entry of a protective order to preserve a copy of the images. If video of the incident exists it may make all the difference in the outcome of the cyclist's case. Our firm has been retained to represent a 24 year old man who was struck by a motor vehicle while riding his bicycle at the intersection of North Halstead Street and West Webster Avenue in Chicago early on the morning of October 3rd. Prior to the crash, the bicyclist was traveling west bound on Webster. The motorist was traveling east bound. Upon reaching the intersection the cyclist signaled his intent to turn left onto south bound Halstead. As he approached the center of the intersection he saw the motor vehicle approaching and slowed to allow it to pass. The vehicle did not signal an intent to turn. However, when it reached the middle of the intersection the vehicle suddenly executed a left turn, crashing into the man on his bike. The bicycle's front light was on at the time. Though he was wearing a helmet, the bicyclist was knocked unconscious by the impact. He awoke many hours later at Illinois Masonic Medical Center. More than two months following the crash, he continues to suffer effects from the incident. We are aggressively pursuing a claim against the driver. 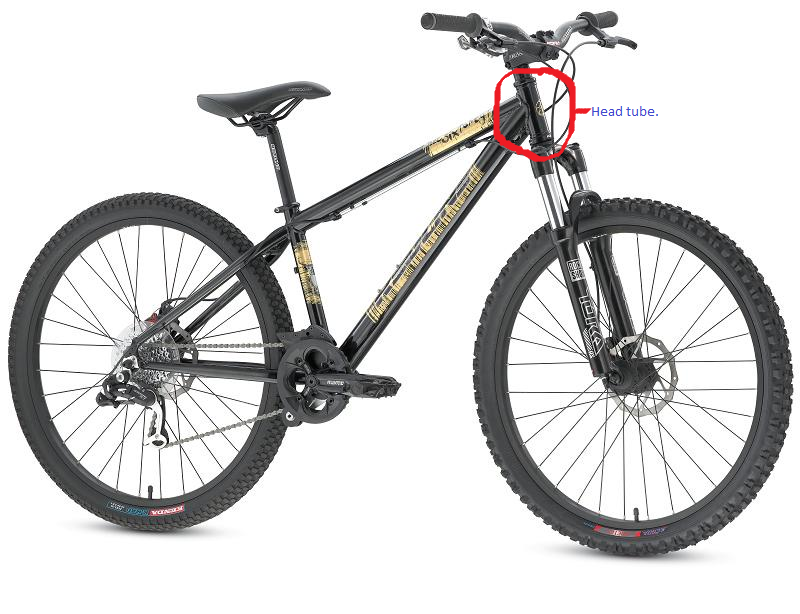 This morning, the U.S. Consumer Product Safety Commission ordered the recall of Redline D640 Bicycles. It is reported that the head tube can become separated from the rest of the frame, posing "a risk of serious injury." The importer of these Chinese made bikes, Seattle Bike Supply of Kent, Washington, is aware of eight reports head tube separation. Consumers are instructed to "immediately stop using the recalled bicycles and contact a local Redline Bicycle dealer to receive a free frame replacement." A 24 year old bicyclist was struck by a motorist on Pearson Street in Des Plaines on November 9th sustaining a head injury and multiple cuts and contusions. The crash occurred at around 7:45 a.m. just south of Pearson's intersection with Miner Street. The cyclist was riding near the left side of southbound Pearson Street in anticipation of making a left turn on Ellinwood Avenue. Illinois law permits cyclists to ride along the left side of a roadway when preparing to turn left. (625 ILCS 5/1505) He was riding behind a bus which was also signaling to turn left. As the cyclist followed the bus a 2004 Toyota Corolla, also traveling south, suddenly appeared to his left and crashed into him. The intent of the motorist is not yet clear. The impact threw the cyclist to the ground where he struck his head. He was wearing a helmet. The bicyclist received medical treatment at Advocate Lutheran General Hospital in Park Ridge. He continues to experience pain and pressure, especially on the left side of his head. An unusual sense of drowsiness and poor balance have plagued him since the incident. It is not yet known whether his injuries are permanent. Our law firm is representing the bicyclist.